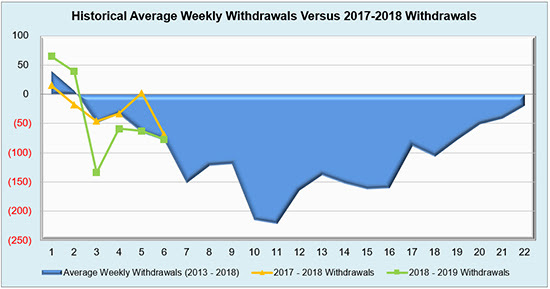 The wild ride that is the 2018 withdrawal season has yet to slow down, and this week’s bearish pull of 77 Bcf, coming in notably lower than the market expectation of 84 Bcf, is providing yet another chance for the NYMEX winter prices to showcase their volatility. 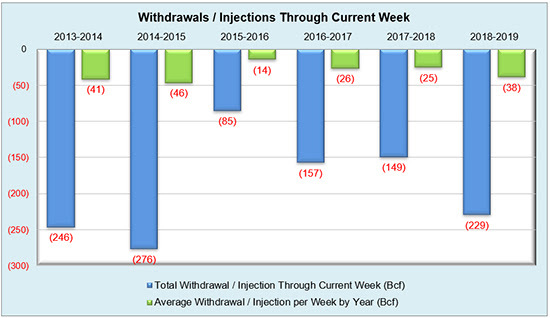 Historically, this draw sits higher than last year’s 59 Bcf withdrawal while also nearly falling in line with the five-year average of 77 Bcf. 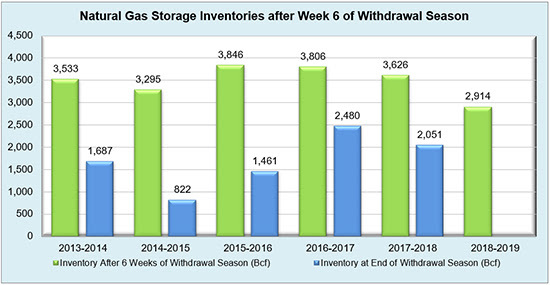 The recent warmer weather in the Southeast and East regions was an essential contributor to the lighter withdrawal this week, and it even managed to keep the Southeast warm enough to trigger an injection into the salt portion of the region’s storage inventories. 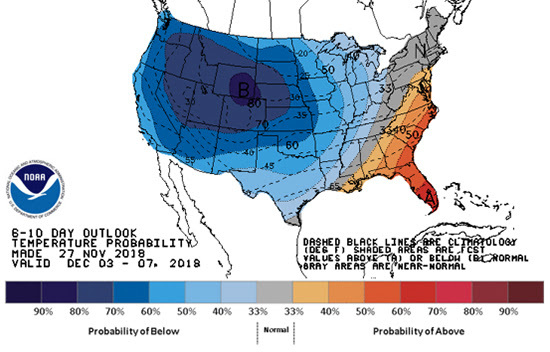 Even in the face of projected mild temperatures lasting until December 23-26, the January and February contract months continue to hold above $4/MMBtu. Power prices are feeling these effects as well, as the majority of the major hubs, ERCOT North, PJM West, and ISO-NE Internal in particular, are currently sitting around the same real time energy rates that the market was seeing in the winter of 2014. 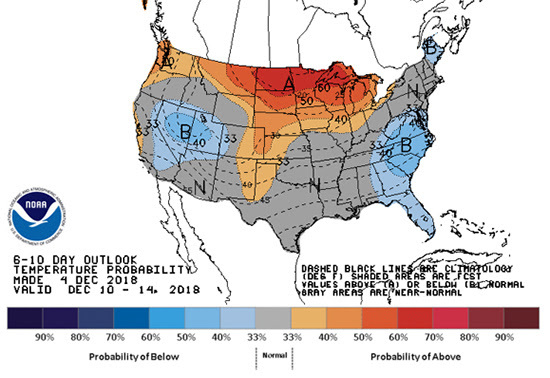 In short, weather continues to dictate the market at present, but constant vigilance should be applied as winter hasn’t even technically begun yet. 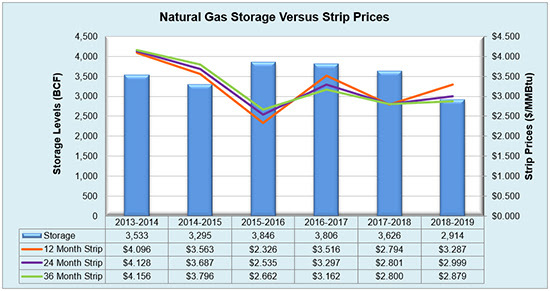 Working natural gas in storage currently stands at 2,914 Bcf, which is 722 Bcf (19.9%) lower than this time last year and 723 Bcf (19.9%) lower than the five-year average. The January 2019 NYMEX Futures price began the day around $4.27/MMBtu prior to the report’s release, but has since dropped to $4.24/MMBtu after the report was posted.